A little while back, I made the decision that I was going to do the Game of the Week column for the week of November 12th. Because I’m a massive Marvel fan, I’ve been meaning to try Nexon’s free-to-play Marvel Battle Lines card-collecting mobile game that launched a few weeks ago. However, the timing of this piece this week couldn’t be more significant, following the death of 95-year-old legendary Marvel creator Stan Lee on Monday. Given that Battle Lines features a card roster of over 100 Marvel characters, this makes it a particularly appropriate way to celebrate the incredibly wondrous universe that Lee helped create. In Battle Lines, you assume the role of a civilian who was infused with a shard from the mattery and energy-controlling Cosmic Cube (which you may also know as the ‘Tesseract’ if you’ve seen The Avengers films). 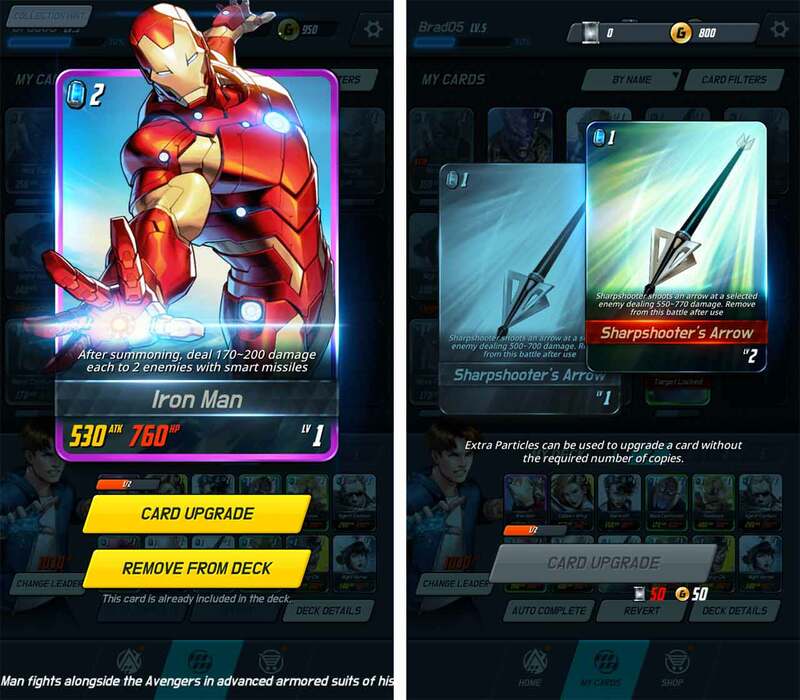 This gives you the ability to use both Marvel heroes and villains in card-based combat. To be sure, it’s a bit of a hokey set-up, even by comic book standards. 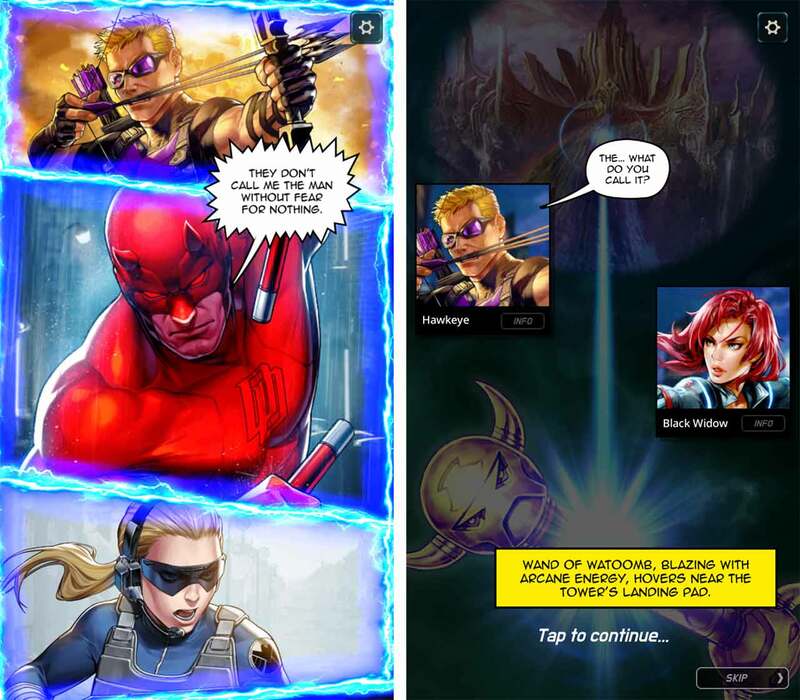 Looking past that, though, Battle Lines‘ story mode is filled with fun character appearances from the more prominent (like Spider-Man, Iron Man, Captain America and the Guardians of the Galaxy) to the lesser-known pickings (such as Cottonmouth, Adam Warlock and Man-Thing). Meanwhile, charming comic book-style artwork and cutscenes and an appropriately rousing score make Battle Lines feel like a Marvel comic brought to life. As a nice touch, you can hide the description on each character’s card to view the artwork in full and see the name of whoever drew it — a nice way to give credit to the often overlooked artists. The heart of the game, though, as the name suggests, lies in the actual card battles. Interestingly, Battle Lines is a clever mix of Tic-Tac-Toe and a traditional trading card game. In Battle Lines‘ 12-space grid, you’ll have to strategically place one character card per turn to form a ‘Battle Line’ and get at your opponent’s health points. Once you’ve played at least three or more cards in adjacent spaces, you’ll be able to launch a direct team attack on your opponent’s HP. However, to get your characters into a Battle Line, you’ll need to defeat the enemy cards that are in your way. Each card has its own attack and defense points, as well as a unique special ability. For instance, Iron Man can automatically launch missiles at two nearby enemies once played, while Nick Fury’s right-hand woman Maria Hill can raise the attack of ally cards. You can also use Attack Cards inspired by each character’s own unique moveset to deal further damage. Unlike the once-per-turn limit imposed on Character Cards, Attack Cards can be played multiple times per turn. On the flip side, filling your deck with too many won’t offer you much protection on the playing field, which means you’ll need to be thoughtful when balancing your deck. To that end, you’ll need to gather various new cards either by progressing through the story, using resources gathered after battles or through in-app purchases. All of these mechanics come together to create a core system that is quite solid, although it does falter somewhat later on in the story. Eventually, you’ll fight enemies that have high-level cards that can make battles seem unfairly difficult at times. Presumably, this is to encourage you to spend real money to purchase your own high-level cards, as free daily login bonuses only net you lower-level rewards. While you can work around this if you play your cards right (no pun intended), it does make battles more tedious than ought to be. Player-versus-player mode, which is present and works perfectly fine, is the only area in which such difficulty spikes should occur. It also would have been nice to have the option to increase the number of cards in your deck. While I imagine the 12-card deck limit is to ensure quicker, more mobile-friendly battles, it still wouldn’t have hurt for there to be an alternate setting or even game mode for larger deck sizes. 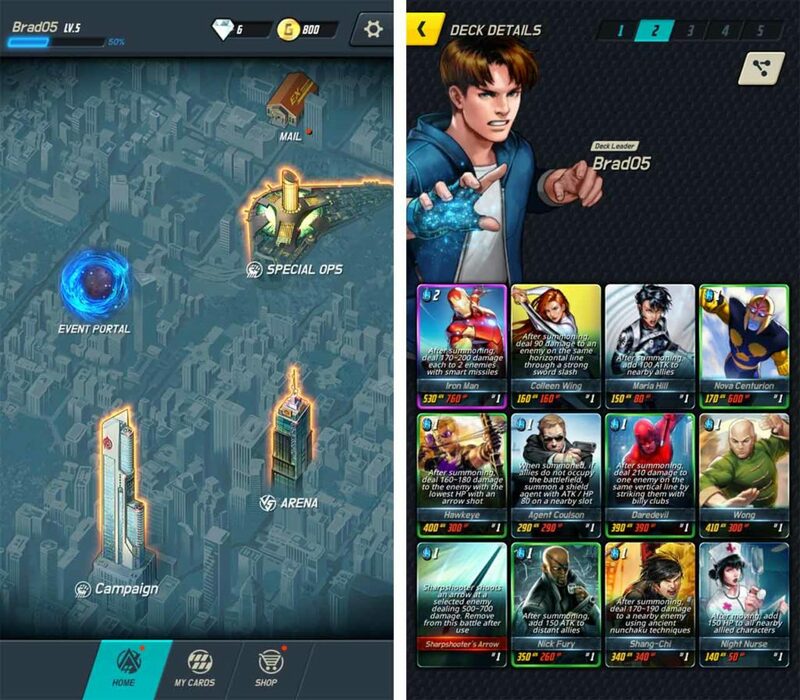 Overall, though, Battle Lines succeeds in creating a fast and fun card game to take with you on the go. What’s more, building a card collecting and battling system around some of the most popular characters of all time undoubtedly lends a long-lasting appeal to the experience. 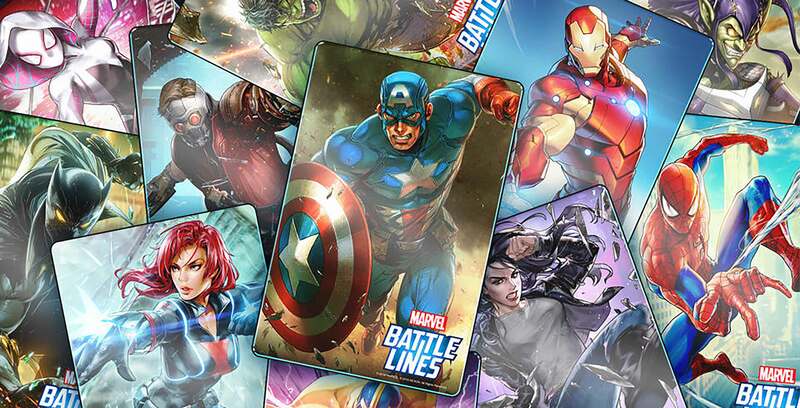 Whether you’re a fan of Marvel or are just looking for an easy-to-pick-up mobile game, Battle Lines is easy to recommend. 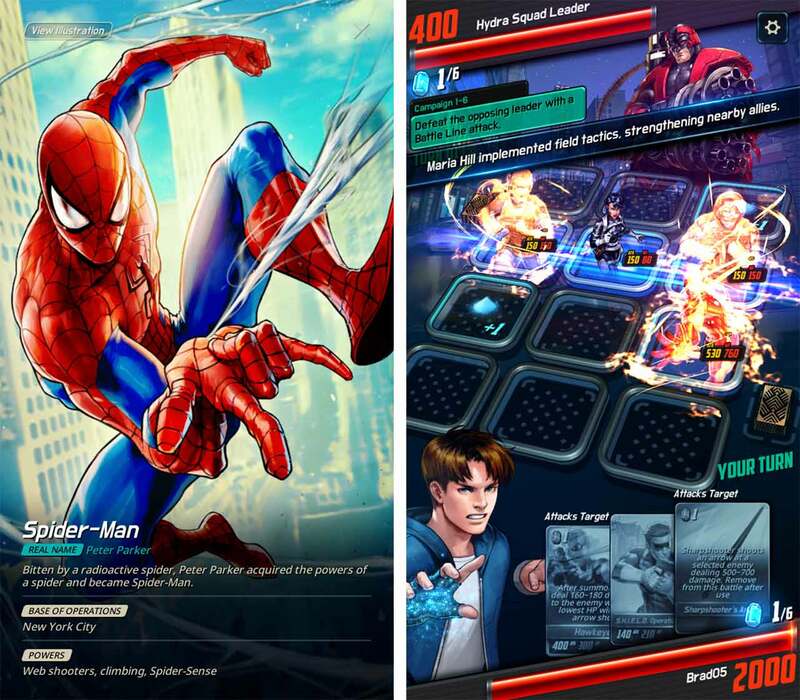 Marvel Battle Lines is available on both Android and iOS.